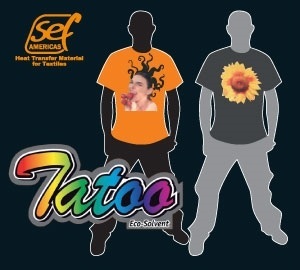 Print your t-shirt designs on any solvent or eco-sol print/cut digital printer and transfer the image to textiles with transfer films at Nazdar SourceOne. 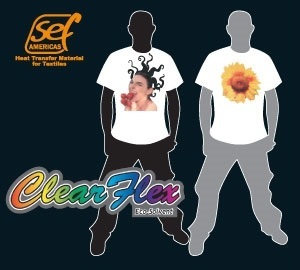 SEF America heat transfer films like Tatoo White, Classic Print White and ClearFlex Clear have excellent color retention and high resistance to washing. 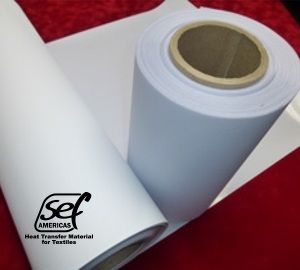 Visit the Clearance Zone for current deals on a variety of graphic media, ink and finishing products.